Our goal is to connect people with the best local experts. We scored home inspectors on more than 25 variables across five categories, and analysed the results to give you a hand-picked list of the best home inspectors in Wichita, KS. All Angles Home Inspections is a company in Sedgwick that has been serving residential property owners and occupants since 2004. The owner and lead professional trained with the American Society of Home Inspectors, and he holds a certification in radon testing. 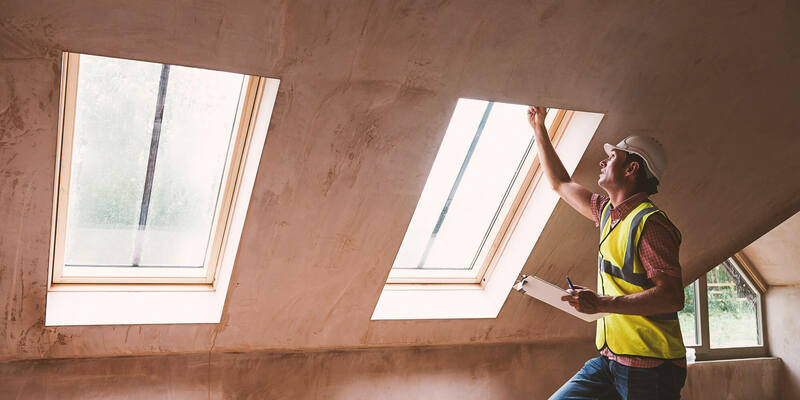 All Angles Home Inspections provides visual examinations for building interiors and exteriors, and some of the covered areas are roofing, cooling, plumbing, and electrical systems. The evaluation types include pre-listing, one-year builder, new-construction, and warranty inspections. All Pro Home Inspections is an insured and bonded company in Mulvane. The owner has examined more than 2,500 residential properties since he began his practice more than 10 years ago, and he offers flexible scheduling and high-quality reports. All Pro Home Inspections uses a 1,000-point checklist to cover all areas, and it belongs to the American Society of Home Inspectors, Kansas Association of Real Estate Inspectors and Wichita Area Association of Realtors. Benchmark Property Inspections is a company in Mulvane that has been evaluating residential and commercial buildings since 1999. The founder is a member of the American Society of Home Inspectors, who takes pride in being the first ASHI–Great Plains master inspector, and he is the first Kansas Home Inspection Registration Board chairperson. Benchmark Property Inspections is an insured and bonded business, and the services include structural inspection with free carbon monoxide testing, radon testing, and mold testing. Fidelity Property Inspectors is a company in Wichita that reviews and evaluates the physical condition of homes. The owner belongs to the International Association of Certified Home Inspectors, and he carries the InterNACHI home buy-back guarantee that gives clients more peace of mind during the process of choosing a house for investment or occupancy purposes. Fidelity Property Inspectors covers the interiors, from roof to ceiling, and it also examines exterior areas. Clients can call for a free estimate. Gilbert Home Inspections is a company in Wichita that offers non-invasive visual examinations of residential properties. The team commits to delivering comprehensive, clear reports, which help clients make a sound decision on purchasing a house, and it bases the services fees on the total finished living area. Gilbert Home Inspections has an affiliation with the American Society of Home Inspectors and Kansas Association of Real Estate Inspectors. Home Review Inspection Services is a provider of visual examinations for residential and commercial properties in Newton. The team caters to clients in Harvey County, and it also conducts evaluations in several neighborhoods of Sedgwick, Saline, Reno, and McPherson counties. Home Review Inspection Services is a member of the International Association of Certified Home Inspectors, and the coverage includes skylights, porches and stoops, electrical service lines and meter boxes, water penetration and foundation movement, and main water shut-off valves. Insight Inspections is a provider of visual examinations for homes in Wichita. The certified home inspector has years of professional experience in the engineering, construction, and property investing industries, and he uses the knowledge and training to help clients make the right house-buying decision. Insight Inspections examines structures according to the strict standards of the International Association of Certified Home Inspectors, and it has home buy-back and $10,000 honor guarantees from InterNACHI. The company also offers radon testing. Integrity Home Inspections is a company in Wichita that helps residential property owners, buyers, and sellers protect their investment. The team examines various building components, and the list includes doors and windows, fireplaces and chimneys, heating and cooling systems, garages and walkways, and retaining walls. Integrity Home Inspections belongs in the American Society of Home Inspectors, Kansas Association of Real Estate Inspectors, and Wichita Area Association of Realtors, and the website contains the full text of the agreement. Kansas REI is an office and home inspection company in Wichita that serves clients seven days a week. The local and family-owned business draws from the owner's construction industry experience, as well as his bachelor's in business from Wichita State University, and the services include structural and mold inspections. Kansas REI follows the International Association of Certified Home Inspectors' standards of practice, and it carries the InterNACHI home buy-back guarantee, a general liability insurance, and coverage on errors and omissions. Lighthouse Property Inspections is a company in Wichita. The team helps clients looking to buy or sell their home, and it also assists owners and residents with identifying the trouble areas in the house and recommending measures to get it back in its tip-top and hazard-free state. Lighthouse Property Inspections provides a range of visual examination services, and it is a member of various industry organizations, including the National Association of Home Inspectors and Kansas Association of Real Estate Inspectors. One Way Home Inspections is a company in Andover. The owner caters to clients from the city, including those who are more comfortable expressing their thoughts in Spanish, and he also welcomes requests to evaluate properties in nearby areas, including Valley Center, Rose Hill, Goddard, El Dorado, and Bel Aire. One Way Home Inspections gives a complimentary mold testing procedure, a discounted termite report, and a best-price guarantee on each examination, and it accommodates appointments seven days a week. Premier Home Inspections is a provider of visual internal and external examinations for residential properties in Wichita. The company holds a certification from the American Home Inspectors Training Institute, and it is a member of the American Society of Home Inspectors, Wichita Area Association of Realtors, Kansas Association of Real Estate Inspectors, and Wichita Area Association of Realtors. Premier Home Inspections also offers radon gas testing that adds a layer of protection from health hazards. ProTech Building Inspections is a company in Wichita that has been around for more than 10 years. The founder holds a degree in construction science from Kansas State University, and he belongs to the American Society of Home Inspectors and Kansas Association of Real Estate Inspectors. ProTech Building Inspections accommodates day, evening, and weekend appointments, and some of the examined areas are foundations, crawlspaces, plumbing installations, electrical systems, insulation and ventilation, and gutters and downspouts. Quality Home Inspections is a company in Wichita that is a member of the American Society of Home Inspectors. The owner has more than 20 years of experience in maintaining homes, and he holds a city license to inspect HVAC systems. The professional also owns, manages, and maintains commercial and residential real estate, and he commits to taking care of the clients' properties like these were his own. Quality Home Inspections examines building interiors and exteriors, including pools. Sims Inspection Service is a company in Wichita that knows where to look for potential problems in homes. The owner has been giving complete and accurate residential property reviews since 2000, and he is a member of the International Code Council, American Society of Home Inspectors, Kansas Association of Real Estate Inspectors, and Wichita Area Association of Realtors. Sims Inspection Service also participates in the National Radon Proficiency Program, which minimizes the health risks that the chemical element poses. Storer Home Inspections is a provider of visual examinations for residential properties in Wichita. The professionally trained and experienced inspector commits to delivering high-quality comprehensive reports, which includes digital images and recommendations, and he provides unlimited advice to clients who retain the house that the company has evaluated. Storer Home Inspections charges a low rate for living areas that measure 1,500 square feet or less, and it abides by the State of Kansas Home Inspection's strict standards of practice. Tom F. Beard Building Inspections is a company in Wichita that evaluates single-family and multi-unit residential properties. The founder and company namesake is a member of the American Society of Home Inspectors and Kansas Association of Real Estate Inspectors, and the team delivers comprehensive and easy-to-understand reports that identify the strengths, weaknesses, and safety risks of homes. Tom F. Beard Building Inspections also engages in radon testing and repair re-inspection, and it handles commercial buildings as well. Top Gear Home Inspections is a company Mulvane. The owner draws from more than 10 years of experience in the residential and commercial construction industry, and he thoroughly checks building components, including water heating systems, grading and drainage, and the foundation. Top Gear Home Inspections belongs in the American Society of Home Inspectors and Wichita Area Association of Realtors, and it takes part in the National Radon Proficiency Program that minimizes health risks in houses and offices.